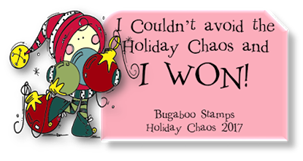 It's Tuesday again, and that means a new challenge at Sweet Stamps . Our challenge theme for this week is Nature. I hope you will join in the challenge! 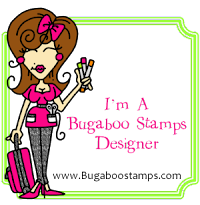 Every entry qualifies you for a chance to win $20 of items from the store at Sweet Stamps, and if you use a Sweet Stamps image- you will receive an additional chance to win! The winner is chosen by Random.org- so everyone has a chance to win! Here is a direct link to the Monthly Challenge as well- 1015-11/14-Center Step Card. You have a chance to WIN- winners drawn by Random.org. Beautifully framed scene Shelly - it makes a lovely card. 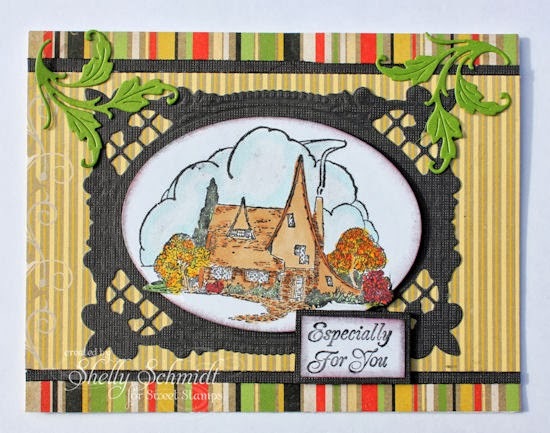 Shelly, your card is so pretty - love how you framed the image. And what a gorgeous image it is. Nice papers, use of dies and love the framing of the image. Beautiful!!! Love that patterned paper strips and the image is framed out just gorgeous! What a beautiful little cottage, Shelly! Great job with the sketch too! I love the stripe paper and die cuts! Wonderful coloring on the Cottage in the Woods, love how you framed it on the card. Hi Shelley, as always stunning card, so love the design.. Fab-u- lous. I love the little swirly leaves to go along with the adorable little woodsy scene! Great take on the sketch! 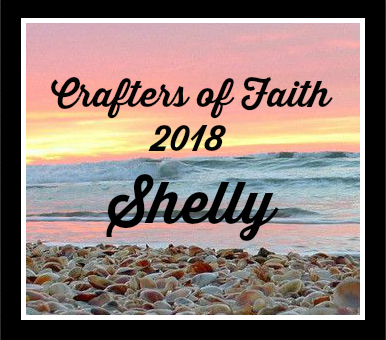 What a beautiful cottage, Shelly! You've framed it off so well with that die cut and the leaves. Set against the striped DP it really makes a statement. A beautiful card for sure! 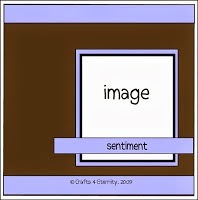 You've created a beautiful fall scene with this image!! Lovely card! Lovely card. The house reminds me of Mary Englebreit's cottage. So cute! Terrific card what a lot of work! Love the coloring job. Good luck this week at AI hope to see you back next week. Gorgeous card and great color choices. Love the frame to showcase the image. This is beautiful Shelly!! I just love your framing and your beautifully colored scene!! Nice use of dies!! Absolutely gorgeous Shelly! Love that stamp and the beautiful way you've colored it. It really shows Nature way of welcoming Fall/Autumn. While I am here I want to thank you also for stopping by Sentimental Sundays and sharing your design with us. I'll have to use that tip with my upcoming tutes on copics!!! :) :) Thanks so much for that! !